I have been to Kashmir twice. 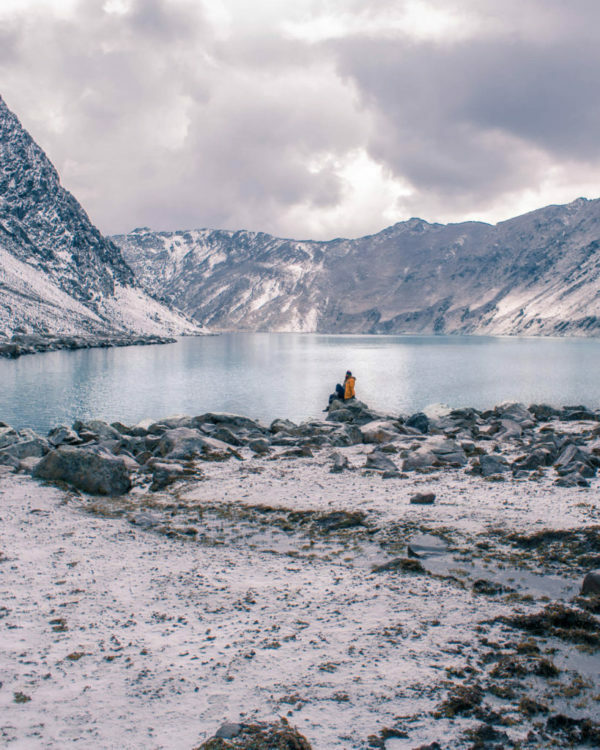 The first one was a solo adventure on my 25th birthday where I drove through the beautiful valleys of Pahalgam and commenced on a trek to the beautiful Tarsar Marsar lake. 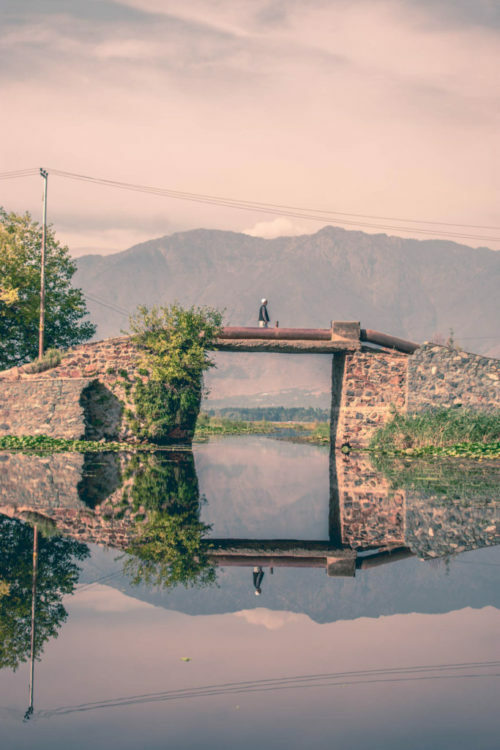 On my second visit, I was accompanied by other travel bloggers for a three days tour where we spend a day respectively in Srinagar, Pahalgam and Gulmarg. 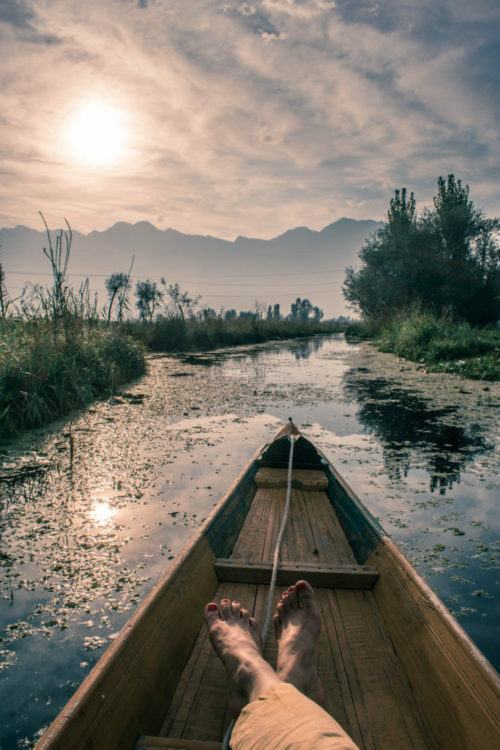 Walking on wooden planks, watching rows of shikaras, witnessing reflections, crossing paths with a herd of sheep, seeing lotus blossoming when the first ray of sunshine falls upon them, such was my experience in Kashmir. I will be honest, I was worried at the start of my trip to Kashmir, but it all washed away once I found out how kind the people are. It is then it dawned on me that how overly dramatic our media channels have been. I realised how we all have been told just one side of the story, shown one side of the coin when Kashmir, in reality, is much more than its conflicts and wars. During my solo travel, I stayed with a local family in a houseboat and they told me stories of the times long gone. They were a few kind humans I met in Srinagar and in the first meeting itself they started to regard me as their sister. In fact, we all used to dine together in their kitchen and they also used to take me around to show the nearby places. Further, they also told me how much they want peace to prevail, however, because of negative portrayal and a few rodents in their society, Kashmir is mostly looked down upon. But as a tourist who got to stay with locals, I saw the truth in their eyes and while I was hearing their stories, it made me feel how unnecessary we as humans are in the name of our beliefs. So what exactly is it? Why tourists are afraid to go here to this beautiful place that looks like heaven? Why there is unrest? If you want to know the real reason for unrest, you would have to go back to 1947 – during the partitioning of India. You see, the major population of Kashmir are Muslims, however, back then the ruling king was a Hindu. They wanted independent governance and decided to remain neutral; meaning, they neither wanted to be with Pakistan nor India. However, due to increased disturbance from the war, he eventually had to take military assistance from the Indian government, which ultimately led to giving up his control. Now, many people were unhappy with this decision and the dissatisfaction has only increased as the time has passed. This has led to unrest and revolts by the Kashmiris. If you happen to ask around what the locals want, you will realise there has been a clear difference in opinions. Each individual has a different story to tell. Some of them would like to have “Azad Kashmir”, while some are happy being a part of India. in fact, some of them want peace and nothing else matters to them, whosoever be the ruling party. While some also say that all this is only a political drama so that the government can keep minting money of the unrest. All in all, everyone here is going through an identity crisis and the ongoing. Further, no one can deny the fact that tourists have been hurt because of this political unrest. It has been said that youths, who are unaware of the situation are mostly targetted to use their anger against the ongoing security issues, which in turn has affected the tourism industry as well. If you ask me, I did not face these issues. In fact, I did not even get to witness the stone pelting. And I do not speak for myself only. A friend of mine stayed in Kashmir for a month. Another friend of mine travelled on local buses and went to Gurez solo. They all feel the same. Remember, Kashmiris have a problem with the govenmnet and administration but not with Indians or tourists. Kashmir has a lot to explore, and tourists are respected a lot but it won’t harm to be extra careful. The main tourists’ spots for Kashmir are Pahalgam, Gulmarg, Srinagar and Sonmarg. The locals here are in abundance and the facilities for tourists are well established as well. If it is your first time as a tourist, don’t be afraid of travelling here, I would suggest you visit these places first before going to other places of Kashmir like Gurez. It will be better to get a feel of the place first. Once you will get a hang around, you will realise you can go further and travel freely here. If you are well prepared about the place, you will be worried less once you reach here. Know about the places you want to visit, the cafes you would want to try. Have a hotel recommendation up your sleeves. 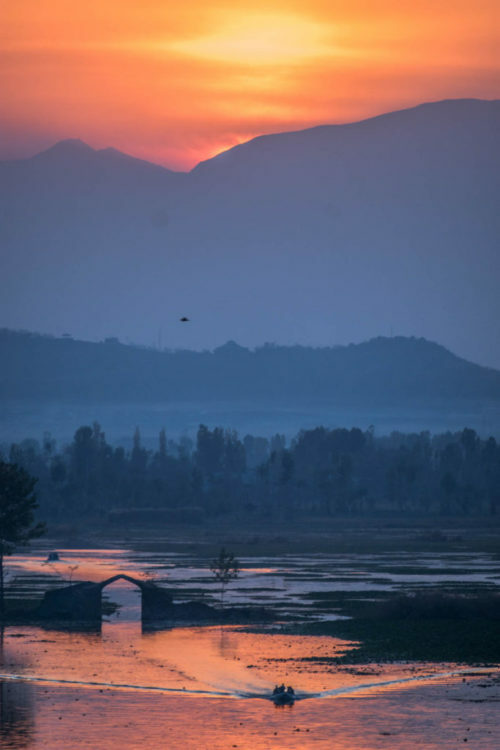 One of the suggestions I can give you is to go straight to Dal Lake and talk to your houseboat or hotel person if everything is okay around the town and what all places need to be avoided. In Kashmir, only postpaid sim or Kashmiri prepaid sims are operational. So if you reach the place, make sure to get your sim cards changed first to get the network. Once you land in Srinagar, having network will help you in browsing and using Google Maps which is a great help! I have seen ladies wearing shorts and dresses in Srinagar. But I personally chose to wear suits and salwars to be as involved in the culture as possible. It made me feel comfortable and since I was staying with locals, it made them feel comfortable as well. Dressing appropriately to any place is the key, and if you happen to go to dargah, you will not feel out of place as well. In Kashmir, the shops shut down by 9 PM and by 10 PM the streets are quiet. It is better to avoid going late outside. If you have some errands to run make sure to get it done in the daytime only. “Idher tourists ko koi chu bhi nahi sakta” (You can not even lay a finger on a tourist) So, if you ask me that “should I travel to Kashmir” I will say, just go! Despite whatever news you have heard in the past or how much political instability is there. Now, this does not mean to visit the place during the riots! But when Srinagar is calm it will make you feel at home like any other place in India. Tourists are safe! I and my traveller friends are very attached to Kashmir because this place has magic in the air! It has an undying pull which will keep calling you back if you happen to go there once. I am very fond of this beautiful place that I consider heaven! I have been loved here, I have felt the warm hospitality of the locals here, I have made friends here and I have seen one of the most beautiful sceneries here. Kashmir, here is to say, I love you and I will keep coming back for you! Hi radhika, i respect all the creators work and yours too but when i read your blog about kashmir something just stuck me. Yes whatever you wrote about kashmir is not true ! Did you stay at any residential area? Did you talk to common man who are not dealing with tourists? I did and the mentality of people are different than you have written… like the dress up and people not staring at women. I travelled by a local shared taxi, wearing loose clothes covered from head to toe but still i faced some nasty comments, even from a women and awkard stares while roaming in local market. The children there are taught at homes that hindu people are some kind of devil and not human. When you stay with or talk to people who deal with tourists, you have a different experience altogether. I am not saying that all the people are like that but most of them are. Kashmir is beautiful.. true but unless and until the mentality of people change there can’t be any improvement in kashmir. Generally kashmir is safe but not always. Not being negative or any hard feelings but we as creators are responsible for potraying true picture to our readers. Its not safe to roam in non touristry area… even the military says that. understand what i am saying. Anyway..happy travelling. Hence, I have specifically pointed out to avoid secluded places and to only visit the tourist spots. Also, the thing about misleading content, please view the blogs subjectively as blogs are always on personal experiences, not a judgment!